Inflammation and related induction of PGE2 pathway play an important role in gastrointestinal tumorigenesis. 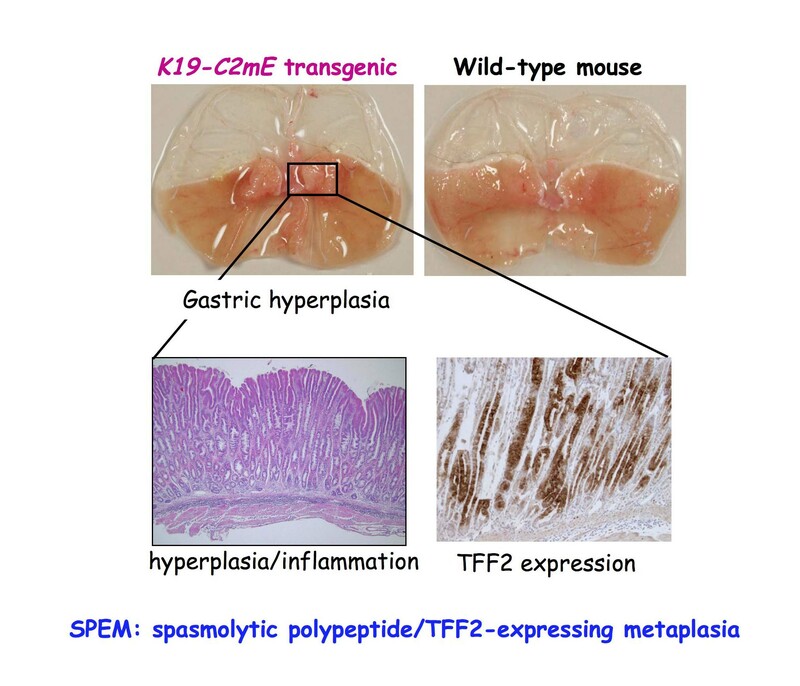 Gastritis in mice by transgenic expression of COX-2 and mPGES-1 or infection with Helicobacter causes SPEM development, which may contribute to gastric tumorigenesis. Activation of Wnt signaling and suppression of BMP pathway are both thought to cause gastric tumorigenesis. 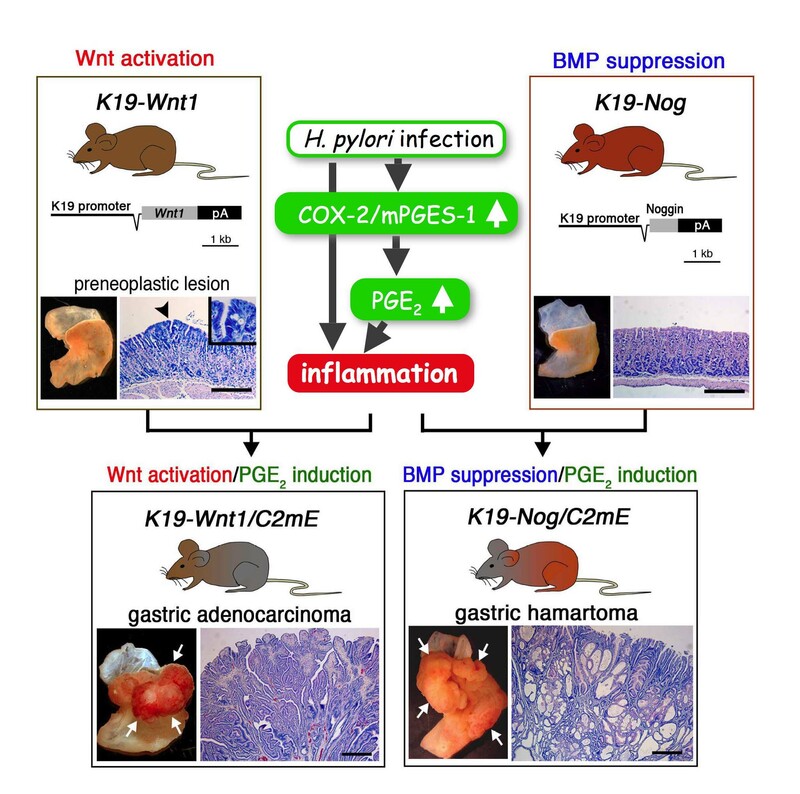 However, mouse model with Wnt activation or BMP suppression in the stomach did not develop tumors. Importantly, induction of gastritis by PGE2 induction in these model mice results in development of adenocarcinoma and hamartoma, respectively. These results indicate importance of inflammatory responses for gastric tumorigenesis.